Want to spend a month in the Canaries with the experts at the Canary Island Volcanology Institute (INVOLCAN)? 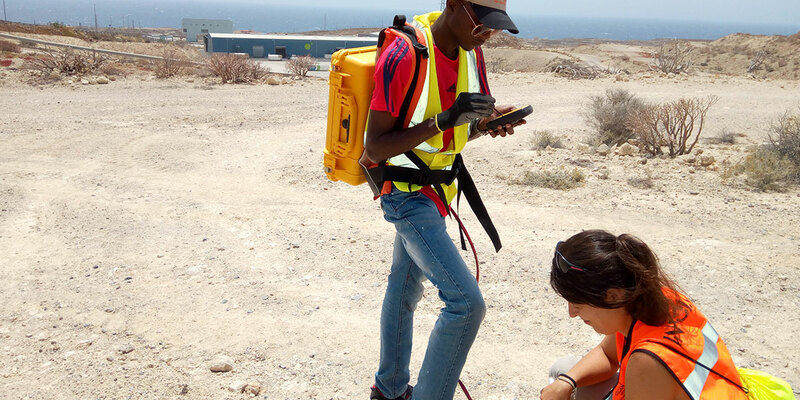 GeoTenerife is proud to announce the launch of its 6th annual GeoIntern programme, a summer training programme we run in association with INVOLCAN which places students in active R+D projects where they can learn a range of highly transferable skills over the course of four weeks. There are different programmes to choose from, covering a range of disciplines. Most of programmes are based in Tenerife, but some of them involve spending some or all of the month on neighbouring islands of Lanzarote, El Hierro or La Palma. GeoIntern runs from June to September 2019. The deadline for applications is 29 March and it is open to undergraduates and recent graduates from relevant fields of study of any nationality. GeoTenerife is committed to open access. 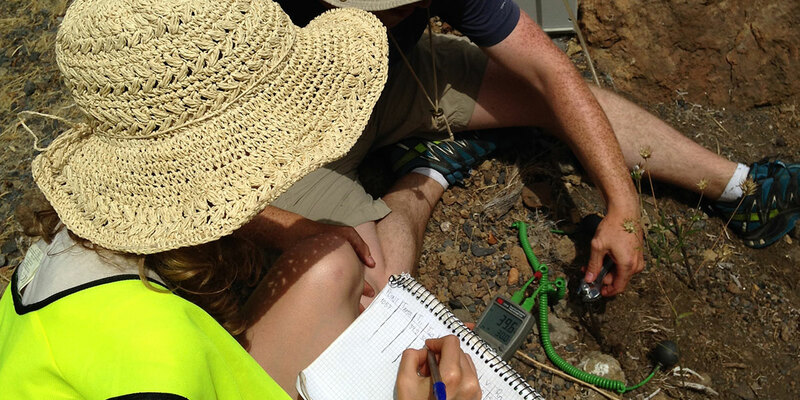 Once again we will offer TWO scholarships for the summer GeoIntern programme. We are passionate about making our programmes accessible to talented young scientists wherever possible, and our scholarships are intended to support students who otherwise would not be able to apply. Each scholarship will cover the full course fee (which includes all accommodation, transfers, etc) plus a stipend of €500 to help towards other costs. To see how last year’s scholars got on, please see our dedicated Twitter feed @GeoTScholar. 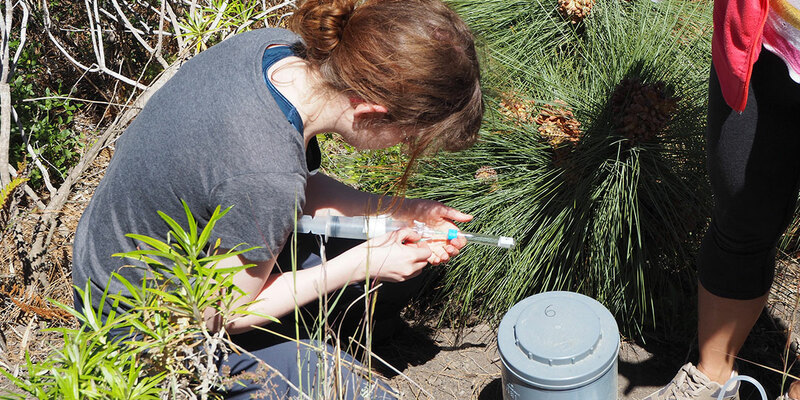 GeoIntern is a great opportunity to learn a range of skills, attend exclusive lectures from leading experts and gain experience working alongside seasoned professionals out in the field and in the lab on at most a 2:1 basis. Teaching is in English, and there will be a minimum of 120 contact hours with professional scientists as part of the programme. We are particularly interested in helping you to develop your science communication skills. Whatever your chosen career later on, learning how best to present your views on science and your work will stand you in good stead. Your collaborative research work alongside the professionals in the field or laboratory will be fully recognised as you will be named alongside INVOLCAN scientists on one of the abstracts that will be submitted to the EGU or AGU meetings. Many of our students choose to attend the event (and some have been sponsored by their home university to do so) and defend the poster of their work alongside a range of INVOLCAN scientists. It is part of our drive to ensure young scientists start developing contact networks early on to help in their future career development. We take care of all your local accommodation, transfers (including to other islands where appropriate) as well as a weekly excursion programme to ensure you maximise your time with us. 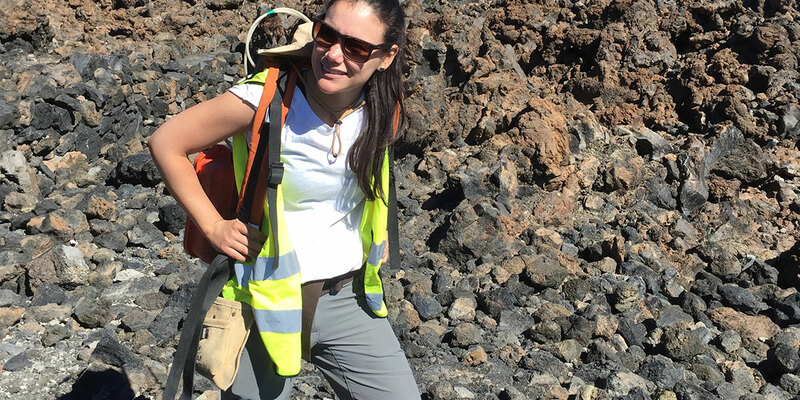 Our dedicated GeoTenerife field manager is available throughout to ensure the smooth daily running of the programme and to resolve any issues that may arise. GeoIntern is heavily over-subscribed every year. To apply, read through the various programmes and decide which one/s you’d like to be considered for. Then click on “Apply Now” below and fill in the form. Only one form per candidate please. Some elements of your application have a word limit. We do this for a reason – we want you to take care over your application, and prioritise the most important information. Re-hashed, poorly thought out epistles don’t float our boat. Submit your application in a timely manner – the link will be deactivated once the deadline has passed, and late submissions will not be admitted. Write a great cover letter. We are specifically looking for enthusiastic young scientists that are passionate about their subject, and can show they are committed, professionally minded young scientists determined to succeed. For the CV section, we are mainly interested in your academic experience and achievements. But add something in that will show how rounded you are. And finally, read through your application before you press “submit”. You only get one chance to make a first impression. Be aware that shortlisted candidates may be required to undertake a Skype interview after the deadline for submission passes. We work hard to put together a unique programme to help talented young scientists to get a wide range of experience. Now tell us why you’re perfect for the role. 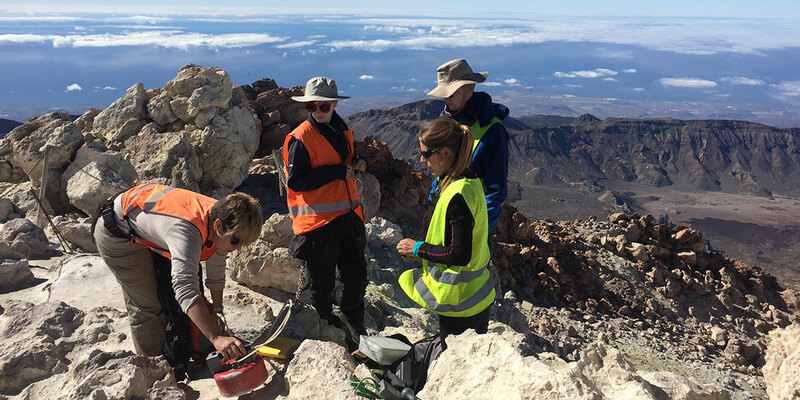 There are eleven different GeoTenerife programmes being offered for summer 2019, as outlined below. Each programme runs for four weeks. Why do we charge for our Summer Programme? The programme costs £1650 for the month. 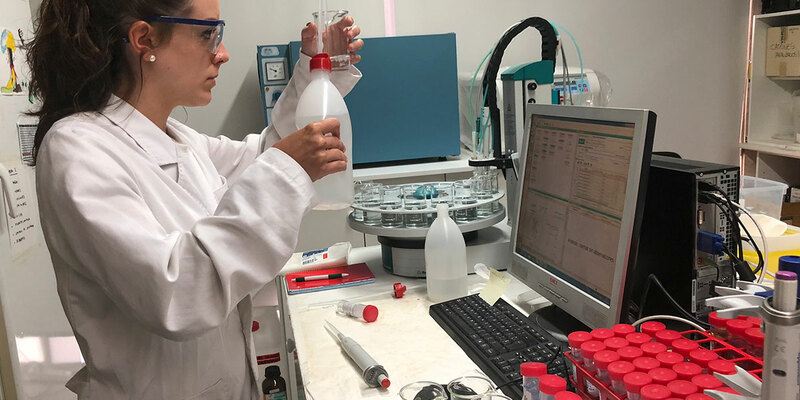 The scientists you will be training with, usually on a 1:1 or at most a 1:2 basis, are from INVOLCAN, the well-respected Canarian Volcanology Institute. You will have a minimum of 180 direct contact hours with a variety of them from a range of backgrounds in four weeks. The head of the institute, Dr Nemesio Pérez, is a geochemist and world-authority on geothermal potential and volcano degassing. The institute actively monitors volcanoes around the globe and publishes papers on their research, often leading the field in their findings. You will receive feedback and guidance about your training in the lab or out in the field. This is an opportunity for you to develop a range of skills that are directly transferable to the workplace and will strengthen your CV. The specific skills you will learn are detailed under the “more info” section for each programme. It is also an experience that often helps young scientists to clarify which area they would like to concentrate on in future. You will receive some intensive science communication training to ensure you can present yourself and your work effectively in future (on and off camera). We engage professional cameramen and video editors for your on-camera training. We are passionate believers in the need to train young scientists to communicate well to both scientific and non-scientific audiences. This will help with your general confidence when speaking about your work and with future job applications, funding applications or gaining support for your research. The course fee funds the cost of producing and submitting all the abstracts of the programmes we run to the AGU and EGU conferences each year, and the cost of producing each relevant poster for display. All participants involved in the collaborative research for each programme are named and fully recognised, alongside their home university. This has helped some of our previous participants to raise funding from their university towards attending the relevant meeting so they can defend their work among their peers and make further contacts to widen their professional network. Thanks to this programme GeoTenerife makes a sizeable contribution each year to Involcán’s local science communication campaign to foster greater awareness of volcanic hazards and risk among the population. In 2018, this amounted to around 15% of each fee. The fee also covers your accommodation, transfer costs (including return flights or ferry journeys to other islands for programmes in La Palma, Lanzarote and El Hierro; airport/port transfers, daily transfer from your changing work environment). The fee deos NOT cover flights to/from Tenerife which are your responsibility to book and pay for. ALL programmes begin and end in Tenerife – we will transfer you to other islands from here if your programme takes place there. 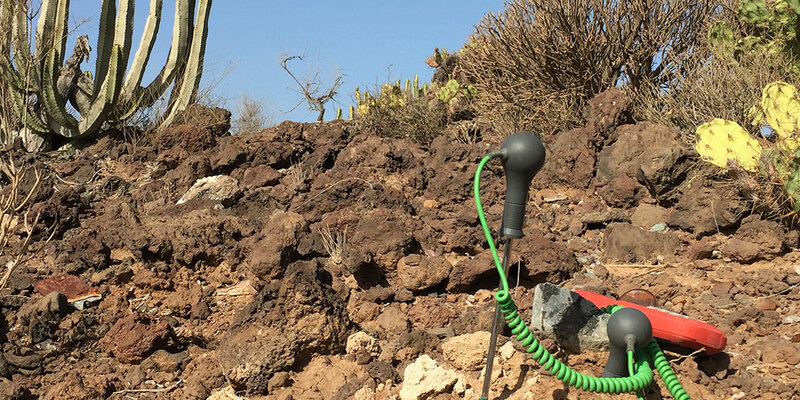 GeoTenerife organises all your required permits from the environment ministry to enable you to participate as well as any medical certificates you will need to be able to work in certain industrial installations (eg for environmental monitoring). We endeavour to ensure you always have access to WIFI and a shared kitchen, and we organise a welcome supper and graduation bbq. Your fee also covers a comprehensive excursion programme, to ensure you learn about the particular nature of the environment you are working in from local experts. There will be one full day excursion per week (including for those working in Lanzarote, La Palma and El Hierro), and all associated costs (including extra insurance where required, or government permits) are included. Previous excursions have included an exclusive night-time descent into a majestic little-known lava tube with a local caving club professional and a biologist to describe the unique environment and fauna endemic to that cave; an ascent up to Teide crater; a trek down a dyke-rich gorge led by a local volcanologist followed by a boat ride out to sea for lunch and to see the resident dolphin population. Part of your fee covers GeoTenerife running costs in the UK and Tenerife (to ensure a successful programme we have set up a permanent, fully-owned subsidiary in Tenerife), our ABTA membership (the UK travel trade association for tour operators and travel agents which protects your payment so your booking is secure) and comprehensive work and liability insurance cover. Another percentage of your fee supports our Scholarship programme to enable wider access to GeoIntern, which is fully funded by the Summer Programme. Some of our participants each year are part or fully-funded by their home university to participate in our programme (mostly US candidates), so it is worth asking your tutor if funds are available for this purpose. On successful graduation, we are here to advise, promote, support and act as referees for you long after your month with us in the Canary Islands ends. Once you have read through the programmes on offer, you must apply using ONE of the two options below. You cannot apply to pay for a place on the Summer Programme AND a scholarship place. Our scholarships are only intended to open access to students who otherwise would not be able to apply. Our programmes are oversubscribed so do take care over your application. Want to know more about GeoIntern? See how other students got on by following our Facebook and Twitter posts this month where we will be posting the latest 2018 GeoIntern videos and new updates from our participants from previous years too. El Instituto Volcanológico de Canarias (Involcan) ha recibido hasta la fecha 80 solicitudes de estudiantes universitarios de grado y postgrado procedentes de 37 universidades de Alemania, Canadá, España, Estados Unidos, Francia, Italia y Reino Unido para realizar prácticas y tareas de colaboración científica con los investigadores del Involcan en 2016. En el mundo, hay entre quince o veinticinco volcanes en erupción en un día cualquiera. Canarias se ha unido a la lista de 350 ciudades europeas que celebran la noche de los volcanes. Los científicos recuerdan la necesidad de que se divulgue información científica apta para todos los públicos. 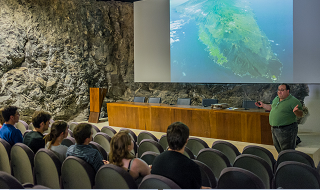 PhotoGallery for the closing session for the August 2014 Internship at ITER, Tenerife. 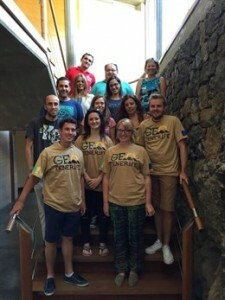 GeoTenerife is a British isles firm that runs science area trips and internship programmes for British isles college students in the Canary Islands. Their most recent marketing campaign noticed them deliver six publish and undergraduate learners from a variety of Uk universities to operate with the Canarian Volcanological Institute (Instituto Volcanológico de Canarias, INVOLCAN), in the Canary Islands. 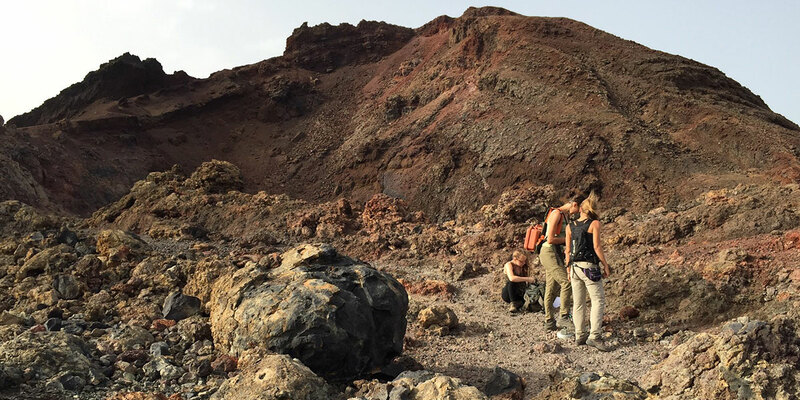 GeoTenerife is a UK company that runs science field trips and internship programmes for UK students in the Canary Islands. 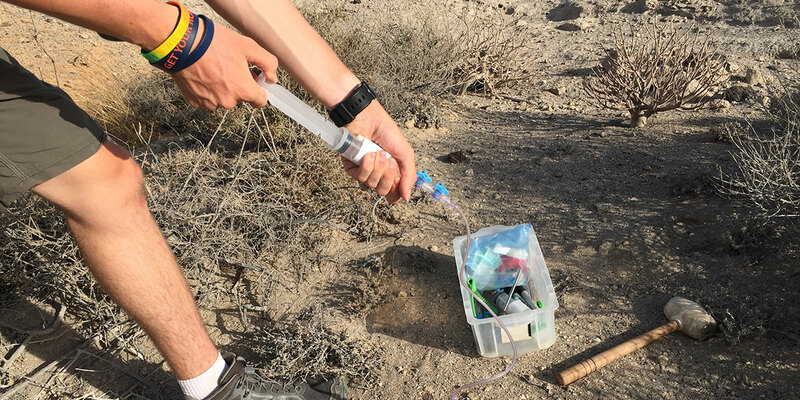 Their most recent campaign saw them bring six post and undergraduate students from a range of UK universities to work with the Canarian Volcanological Institute (Instituto Volcanológico de Canarias, INVOLCAN), in the Canary Islands. En este enlace pueden leer las opiniones de seis alumnos británicos sobre la experiencia que han disfrutado este verano junto al personal de INVOLCAN. Una veintena de estudiantes universitarios procedentes de quince universidades europeas realizan prácticas a lo largo de 2014 en el Instituto Volcanológico de Canarias (Involcan), una entidad impulsada por el Cabildo de Tenerife. Los estudiantes proceden de las universidades de La Laguna, Complutense de Madrid, Oviedo (España), Florencia (Italia), College Dublin (Irlanda), Oxford, Bristol, Northumbria, Manchester, Glasglow, Durham, College London, Leicester, Brighton y Chester (Reino Unido). Una veintena de estudiantes universitarios procedentes de quince universidades europeas realizan prácticas a lo largo de 2014 en el Instituto Volcanológico de Canarias (Involcan), una entidad impulsada por el Cabildo de Tenerife. La mayor parte ellos están cursando sus estudios para la obtención de su grado universitario en diferentes disciplinas relacionadas con las ciencias, pero también quienes están optando a su grado de doctor. 12 Sector Publishing Intelligence: Sun, Sea… Volcanoes? 13 Twicsy: Sun, sea, VOLCANOES? 14 BusByway: Sun, Sea… Volcanoes? 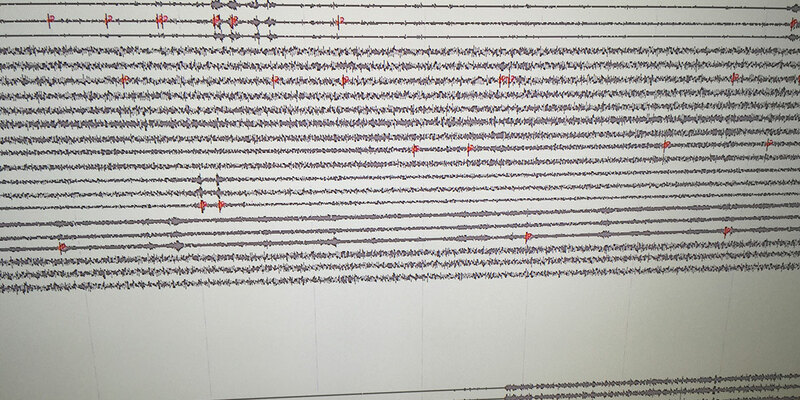 15 New Zealand Times: Sun, Sea… Volcanoes? 16 Silobreaker: Sun, Sea… Volcanoes? 17 Manufacturing Business: Solar, Sea… Volcanoes? 21 Find a bunk house: Sun, Sea… Volcanoes?